The All New, All Daring Delusional Honesty! : Oh Hell Yes. Three words: Planet. Red. Hulk. No, really: "Planet Red Hulk." Jeff Parker. Carlo Pagulayan. June 2011. Jeff, do you want to steal Greg's thunder, or what? Let's all be there, shall we? Okay... what do we have here? 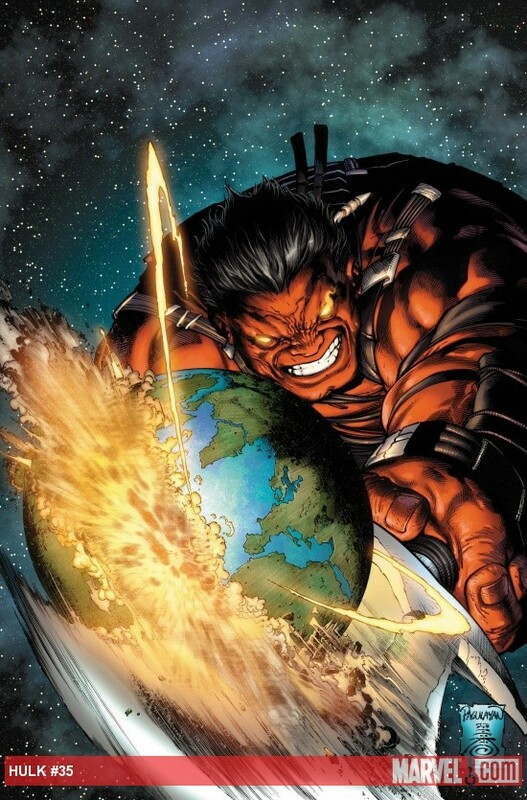 I haven't heard of any storyline like this for the Red Hulk? What's going on in the Marvel Universe? It's a fantastic time to be a Hulk fan!